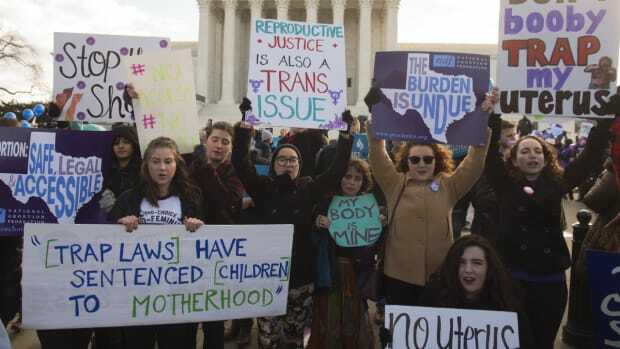 Back in January, as the Supreme Court was preparing for its most important abortion case in a generation, some four dozen social scientists submitted a brief explaining why they believed key portions of Texas law HB2 should be struck down. The brief was a 58-page compendium of research on everything from the relative dangers of abortion vs. childbirth to the correlation between abortion barriers and postpartum depression. “In this politically charged area, it is particularly important that assertions about health and safety are evaluated using reliable scientific evidence,” the researchers declared. Six months later, the material they submitted clearly helped shape Justice Stephen Breyer’s majority opinion in Whole Woman’s Health v. Hellerstedt, which found critical elements of HB2 unconstitutional. Less noticed, the decision also handed a resounding victory to private donors who’ve spent more than a decade quietly pouring at least $200 million into the scientists’ work, creating an influential abortion-research complex that has left abortion opponents in the dust. 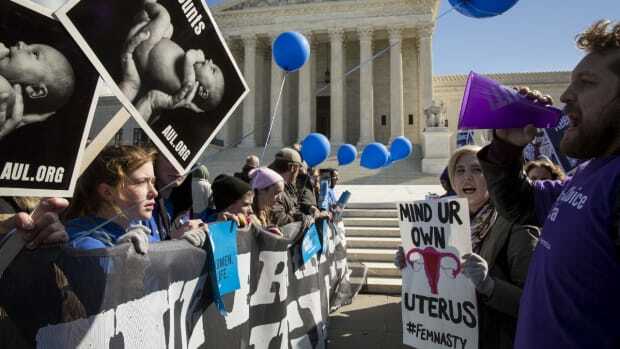 The research initiative dates back at least to the early 2000s and became more urgent after the high court suggested in 2007 that in cases of “medical and scientific uncertainty,” legislatures could have “wide discretion” to pass laws restricting abortion. 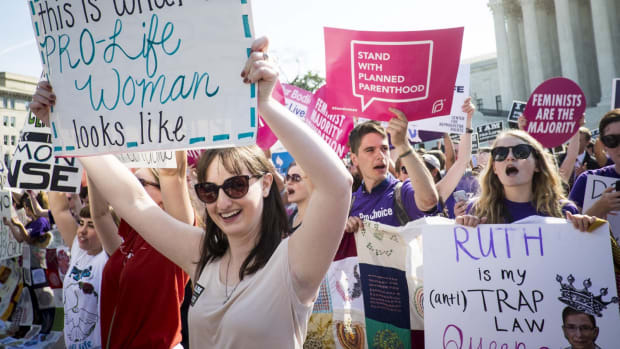 Since then, a primary objective of abortion rights supporters has been to establish a high level of medical certainty — both about the safety of the procedure and about what happens when a woman’s reproductive options are drastically curtailed or eliminated. There’s little or no publicly funded research on this controversial topic in the United States, so for years basic information was lacking — from how often patients have complications to what happens to women who want abortions but can’t obtain them. Located in the state with the most liberal record on reproductive rights, the University of California–San Francisco has been able to do pioneering studies without the kind of interference that might be expected elsewhere. The Buffett Foundation helped finance the development of the abortion drug RU–486 back in the 1990s. From 2001 to 2014, it contributed more than $1.5 billion to abortion causes, including at least $427 million to Planned Parenthood worldwide and $168 million to the National Abortion Federation — a track record that led one foe to call Warren Buffett the “sugar daddy of the entire pro-abortion movement.” In the past 15 years, it has also made research a core part of its strategic efforts, funding such organizations as the Guttmacher Institute, a policy think tank and advocacy group that tracks demographic and legislative trends ($40 million), and Gynuity Health Projects, which focuses on medication abortion ($29 million), as well as work by academics abroad. Other foundations supporting research on a smaller scale have included the William and Flora Hewlett Foundation, the David and Lucile Packard Foundation, the John Merck Fund, and the Educational Foundation of America. Located in the state with the most liberal record on reproductive rights, UCSF has been able to do pioneering studies without the kind of political interference that might be expected elsewhere. Indeed, California lawmakers have granted special protections for people who work in the reproductive health field, while state health agencies worked to facilitate a potentially controversial project that involved training non-doctors to perform abortions. The ANSIRH program was established in 2002 as part of UCSF’s Bixby Center for Global Reproductive Health and lists more than two dozen separate abortion-related initiatives on its website on everything from mandatory ultrasound-viewing laws to abortion in movies and television to reproductive health access for women in the military. Funder and fundee have been closely intertwined; Weitz left UCSF to become the Buffett Foundation’s director of U.S. programs in 2014. 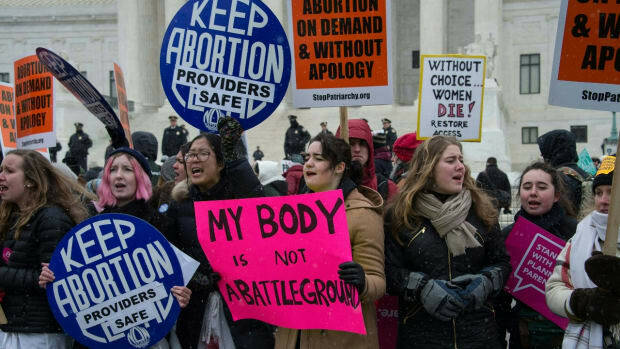 Well before the Texas case, foundation-backed researchers had already begun to churn out studies aimed at debunking some of the most common justifications for new abortion restrictions: that clinics were teeming with incompetent doctors; that injured, abandoned patients were flooding emergency rooms; that the psychological damage caused by grief and regret after abortions often persists for years and ruins women’s lives. In the past three years, their findings have influenced a string of policy changes — prompting the Food and Drug Administration to revise its labeling guidelines for abortion drugs, persuading the Iowa Supreme Court to uphold a telemedicine program for medication abortion, and convincing the California legislature to allow health-care professionals besides doctors to perform first-trimester abortions. The proliferation of so-called Targeted Regulation of Abortion Provider, or TRAP, laws like HB2 — which purport to protect women’s safety and health by imposing tough rules on clinics and doctors — provided the research effort with its greatest test, yet also an opportunity to put its findings to potent effect. Buffett Foundation money underwrote the Texas Policy Evaluation Project, a small band of demographers, doctors, and public-health specialists based at the University of Texas–Austin who came together in 2011, when lawmakers slashed family-planning funding, kicked Planned Parenthood out of the Medicaid women’s health program, and required sonograms 24 hours before abortions. “We realized that this was going to have devastating impact on the reproductive health and safety network in the state,” said Daniel Grossman, an investigator for the project who also teaches at UCSF and replaced Weitz as ANSIRH’s director last year. 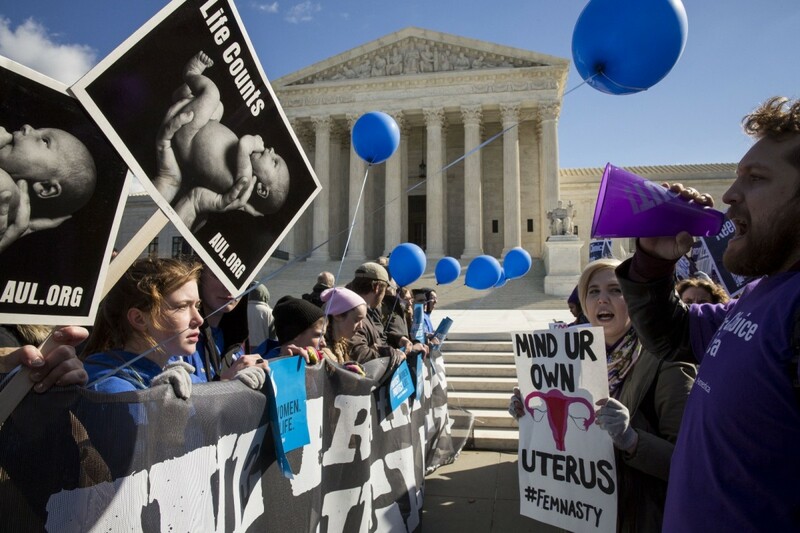 The anti-abortion movement has recently attempted to launch its own research initiative. The Charlotte Lozier Institute was established in 2011 as a policy think tank alternative to Guttmacher. The American Association of Pro-Life Obstetricians and Gynecologists holds annual conferences at which researchers who oppose abortion discuss studies they’ve done on links between abortion and breast cancer, depression, and drug abuse, and hold workshops on how to serve as expert witnesses. But those operations are minuscule compared to those of Buffett and ANSIRH. 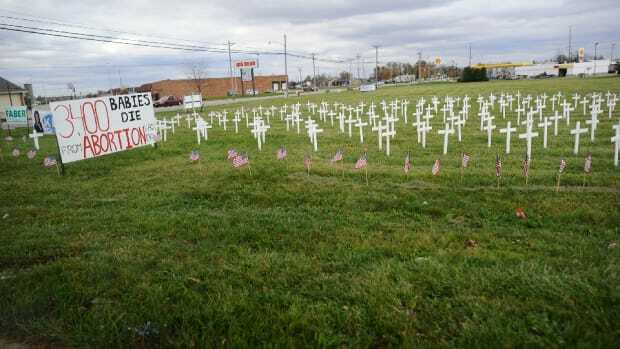 “The pro-choice research seems to have almost unlimited funds,” Bowling Green State University’s Priscilla Coleman lamented at this winter’s AAPLOG meeting. So far, researchers funded by abortion opponents lack the infrastructure to conduct the kind of data collection and analysis that academic institutions have done. “Picking the right groups to compare, following them for a long period of time, so that you can really see what the outcomes are — it’s long and it’s hard and it’s costly,” UCSF’s Rana Barar said. Abortion opponents have often seen data and scientific evidence as almost beside the point, acknowledged Lozier’s president, Chuck Donovan. “For most people on the pro-life side of the debate, abortion is primarily an ethical, moral, for some a religious challenge.” As a result, “a statistical base, an analytical base has gone a little bit undernourished.” Individual researchers have been stymied by mainstream medical hostility, Steven Aden, senior counsel at the conservative legal powerhouse Alliance Defending Freedom, said this spring. “It is extraordinarily difficult to get even a solid study peer-reviewed and published,“ he said. And when it does happen, “because the politics are against them they are subjected to a beat-down campaign, sometimes even when what they’re arguing is fairly straightforward.” Often the best those efforts could hope to achieve was to “generate uncertainty,” as Mary Ziegler, a law professor at Florida State University and author of After Roe: The Lost History of the Abortion Debate, put it. Before Hellerstedt, that was often seen as enough: “The idea was if there’s uncertainty, the tie-breaker goes to the lawmakers,” Ziegler said. 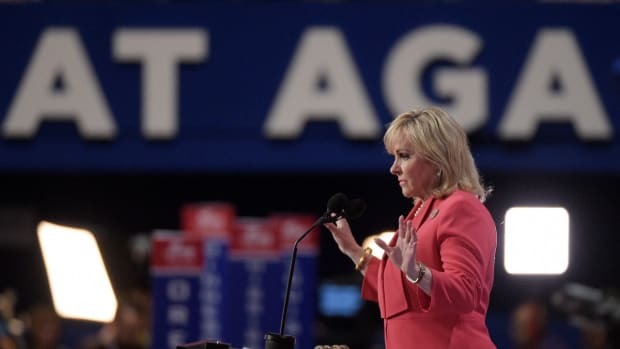 Even before the Texas decision, abortion foes had begun to shift away from women’s health and safety, instead expanding on existing restrictions (such as longer mandatory waiting periods and tougher parental consent laws) and renewing the focus on protecting fetuses: “The science of fetal development is a burgeoning area,” Aden said. This story originally appeared on ProPublica as “Behind the Supreme Court’s Abortion Decision, More Than a Decade of Privately Funded Research” and is re-published here under a Creative Commons license.